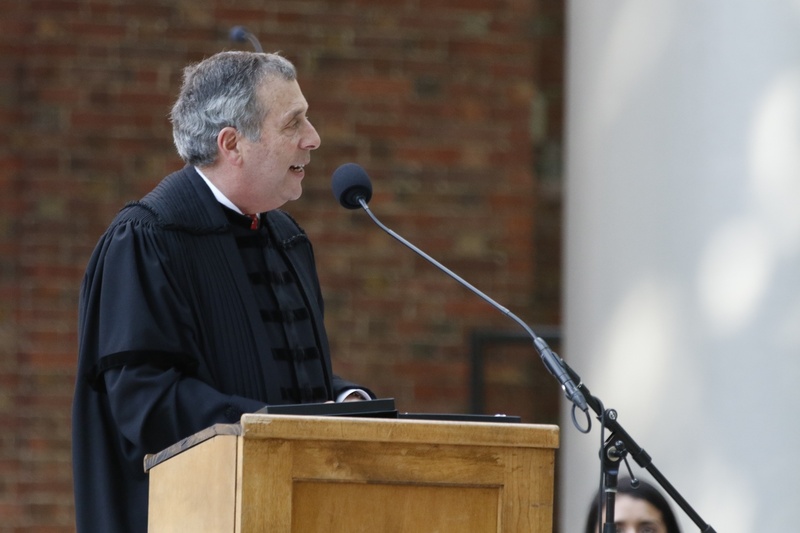 University President Lawrence S. Bacow remained firm in his stance against divestment in an interview Friday, just as student activists demand he take part in a public forum on fossil fuel divestment. 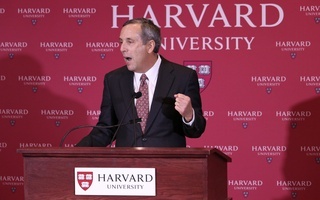 Bacow reiterated Harvard presidents’ long standing policy against divestment, originally put forth by former University President Derek C. Bok: Harvard’s nearly $40 billion endowment is not — and has never been — a mechanism for social change. 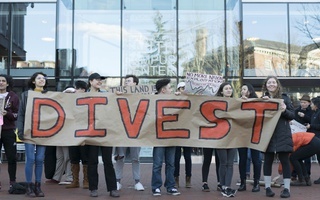 Divestment is not unheard of — Harvard most recently withdrew investments from the tobacco industry in 1990 — but it is rare. Bacow also said that in order to decrease fossil fuel use in the long run, the University must “engage with the fossil fuel industry” as “shareholders,” as well as through research. “I don't understand how we on the one hand say we think it's immoral to own your stock, but, by the way, we would like to work closely with you as you develop clean technology, as you develop cap and trade systems, as we seek to create a carbon tax, for example,” Bacow said. “The information that allows us to do those things lie within industry. We can't do that on our own. So if we're going to affect the world through our scholarship we need to engage, not isolate ourselves,” he added. Bacow’s position comes at a time when student activists from across the University are reinvigorating their calls for Bacow and the Harvard Management Company — the University’s investment arm — to withdraw its controversial investments, including those from companies within the fossil fuel industry or with connections to prisons. Students seeking divestment from these industries have delivered petitions to Massachusetts Hall, met personally with Bacow to present their concerns, and most recently, demanded Bacow participate in a public forum with students regarding divestment. "Harvard is a place founded upon the very idea of civil discourse,” Cohen said. “So, we think it's incumbent upon the administration to be willing to talk with us and to be willing to have their stance challenged because those are the kinds of ideals that they expect us to carry as students every day." The statement notes that more than 70 percent of College students who voted in the last Undergraduate Council election voted to divest from fossil fuels. University spokesperson Jonathan L. Swain declined to comment on the letter and pointed to Bacow’s previous statements on divestment. 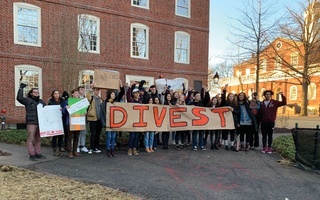 Divest Harvard’s demand comes as part of their revitalized “Heat Week” campaign set to take place in April 2019, Cohen said. Cohen added the group is planning on restaging the campaign to be “louder” and “larger” than when it was first launched in 2015. 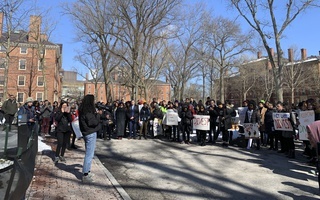 “Heat Week” originally began as week-long protest organized by Divest Harvard in April 2015. Hundreds of students and several faculty members blockaded Mass. Hall for a week, occupied the Harvard Alumni Association headquarters for two days, and blockaded University Hall multiple times. When asked about the sustained activism on divestment, Bacow said he commends the activists’ passion but disagrees with their strategy. “I just think we differ on tactics in certain cases,” he added.